Changing competitive landscapes, technological advances and consumer trends are rapidly disrupting businesses and creating an imperative to execute transformation programs that improve operational efficiencies, optimize workforces and offer better customer experiences. 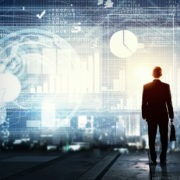 Across industries vast amounts of resources are being spent on business transformation programs, but so far the results are dismal. According to IDC, $1.7 trillion was spent in 2017 by companies worldwide on their digital transformation efforts and yet analysis suggests that only 1% of transformation programs will actually achieve or exceed their expectations. Business transformations are pursued to fundamentally change systems, processes, people and technology across an entire business or subdivision to achieve measurable improvements in efficiency, effectiveness and stakeholder satisfaction. When transformation programs fail, time and money are wasted, while no significant improvements are gained. In the meantime, risks related to product or service obsolescence, rising costs, declining revenues or other factors that spurred the transformation in the first place, have grown. Taking a computer-aided engineering (CAE) approach to business transformation can help businesses manage program risks, maximize value, decrease costs and accelerate innovation. CAE is widely used in a range of industries to build the right product at best performance versus cost ratio. A main goal being to improve designs or anticipate the resolution of potential problems as early as possible. 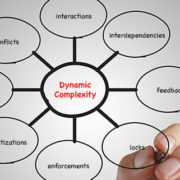 When businesses want to build best in class systems or ensure the optimal performance of exiting business ecosystems, computer emulation is an effective way to validate plans, predictively expose risks, and identify which corrective actions will achieve the desired results for any given situation. X-Act platform algorithmically emulates business structures and produces advanced predictive analysis to determine the limits of dynamically complex systems, identify potential risks and recommend which corrective actions are needed to meet business objectives. While CAE typically uses simulation to replicate system behaviors, these methods are not sufficient to cover a change in dynamics, meaning some risks will not be exposed until the event occurs because only the knowns are represented and so reproduced. 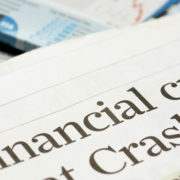 X-Act uses emulation in place of simulation to mathematically reproduce risks that may occur under certain conditions even if there is no historical record of these events happening. Once the emulation is successfully created within X-Act, it allows transformation teams to quickly test and economically explore an unlimited number of change scenarios that would otherwise be complex, expensive or even impossible to test on a real system. Users simply change variables—such as volume, architecture and infrastructure—or perform sensitivity predictions on changing process dynamics to observe the predicted outcome. 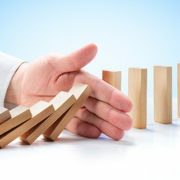 Validated through robust testing in hundreds of applications and various industries, X-Act provides visibility across complex business and IT ecosystems so that decision makers can quickly agree upon the most strategic plans and proactively take corporate actions with confidence in the outcome. Additionally, X-Act supports transformation programs by enabling users to test optimization and rationalization scenarios to confirm the best-fit solution before committing funds or resources to any project. 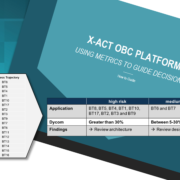 During the execution phase, X-Act provides the foresights necessary to ensure an optimal outcome that weighs both short and long-term cost benefits in alignment with performance and scalability goals so that the business can minimize risks and consistently gain all the intended benefits of the transformation program. Ultimately, these capabilities help businesses define and make the right moves at the right time to continuously achieve better economy, control risk and support critical renewal. 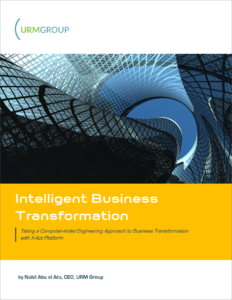 Read the Intelligent Business Transformation solution paper to learn why and how businesses use X-Act in a Computer-Aided Engineering (CAE) capacity to validate transformation plans and control risks.